?La Bella y la Bestia (Beauty and the Beast)? 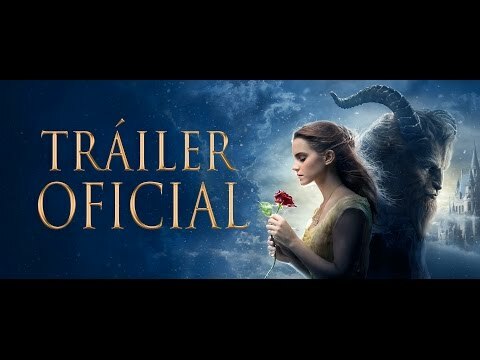 es el viaje de fantasía de Bella, una joven hermosa, lista e independiente a la que una bestia hace prisionera en su castillo. A pesar de sus temores, se hace amiga de los habitantes encantados del castillo y aprende a ver más allá del espantoso aspecto de la Bestia y descubre que en su interior está un gran corazón, él del verdadero Príncipe. Emma Watson, Tom Hanks, John Boyega, Karen Gillan, Bill Paxton, Patton Oswalt, Ellar Coltrane, Ellen Wong, Nate Corddry, Jimmy Wong, Poorna Jagannathan, Kelli Barksdale, Allyson Nicole Jones, Amir Talai, Regina Saldivar. Emma Watson, Daniel Brühl, Michael Nyqvist, Julian Ovenden, Martin Wuttke, Vicky Krieps, Richenda Carey, August Zirner, Jeanne Werner. Emma Watson, Ethan Hawke, David Thewlis, Devon Bostick, Dale Dickey, Aaron Ashmore, Adam Butcher, David Dencik, Aaron Abrams, Lothaire Bluteau, Kristian Bruun, Peter MacNeill, Maura Grierson, Jacob Neayem, Janet Porter. Ian McKellen, Laura Linney, Hiroyuki Sanada, Frances de la Tour, Roger Allam, Philip Davis, Hattie Morahan, Patrick Kennedy, Gioacchino Jim Cuffaro, Shina Shihoko Nagai, Paul Blackwell, Eileen Davies, Sonia Mason, Milo Parker, Zak Shukor. Sally Hawkins, Octavia Spencer, Michael Stuhlbarg, Richard Jenkins, Michael Shannon. Chadwick Boseman, Michael B. Jordan, Lupita Nyong'O, Danai Gurira, Martin Freeman, Daniel Kaluuya, Forest Whitaker, Letitia Wright, Winston Duke, Florence Kasumba, Sterling K. Brown, John Kani, Andy Serkis. Tom Hiddleston, Brie Larson, Samuel L. Jackson, John C. Reilly, Toby Kebbell, Thomas Mann, John Goodman, Corey Hawkins, Jason Mitchell, Shea Whigham, John Ortiz, Eugene Cordero.